While working with the slice shape I realized that it won't react physically correct, if it is rotated before it is attached to a body. While I reviewed your code I didn't understand your calculations of the radius. Maybe I just don't understand which radius should be calculated. Please correct me, if I'm wrong. In AbstractShape it is written that the radius should be the maximum radius. 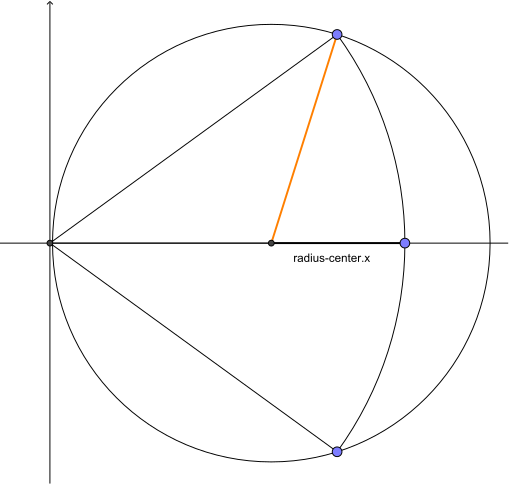 The orange line should always be greater than "radius - center.x", shouldn't it? Anyway Dyn4j is one of the best things I learnt so far. Thank you for reporting this. You are correct on all accounts, these are certainly bugs that need to be fixed. I'm working on them now. 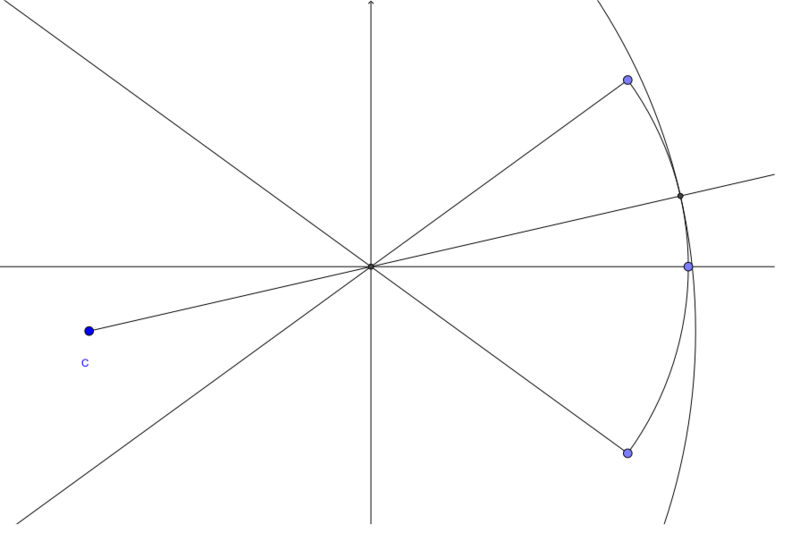 There are similar bugs with the Capsule, Ellipse, and HalfEllipse shapes as well (namely the getRadius(Vector2) methods). By the way, while seaching for them, I couldn't extend your AbstractShape in an own package, because the two member variables center and radius don't have the protected visibility. Is there any reason for this? Having them protected visibility, it would be much easier to create own Shapes based on Abstract Shape. The intent is that both center and radius would be effectively final. That said it might make sense to make these protected and non-final so that implementing classes can still mutate them after the super constructor. I'll give it some thought. Sorry ... this was my fault. I didn't want to mutate them ... I just didn't realize that there are getter Methods. I copied the code from github and saw the errors in my IDE. Then I just copied the AsbtractShape, too instead of searching for ohter solutions. My apologies for bothering you with that (stupid) request. Thanks again for the bug report! I've released a new version of the library with fixes included.